My interest was piqued by an invitation to a golf media tour of North Carolina's Brunswick Islands. For one thing, I'd never been to Brunswick County, tucked away in the southeast corner of North Carolina astride the Cape Fear River and Atlantic Ocean. For another thing, the trip promised five rounds on five courses over four days along with a half-day deep-sea fishing excursion. I was in without hesitation. The trip began in satisfying fashion at Cape Fear National at Brunswick Forest. Designed by Tim Cate and located just a short drive from the Wilmington Airport, Cape Fear National opened in 2010 to rave reviews. The place well could be called Cape Fear Natural, given Cate's decision to use natural grasses and links-style design elements to make sure the course harmonized with the surrounding area. 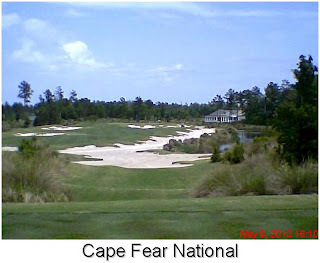 Cape Fear National is easy on the eyes but it is a tough, tough course. Luckily, my playing partner was assistant professional Adam Clark. The 28-year-old Tennessee native offered timely tips on how best to steer clear of the water and other trouble spots. He also pointed out preferred landing areas on the large, quick greens. At my request, we played from the white tees. From any of the six tees, the par-4, 395-yard 4th hole is a handful. Ditto for the par-4, 375-yard 13th hole. Both of the nines at Cape Fear National end with a par-3. It's a rare design feature but one that works here. For my money, the 156-yard 9th hole, with water all along the left side, is no worse than the fourth-best hole on a course loaded with good holes. Another of the winning design features here has some of the cart paths routed through waste bunkers. 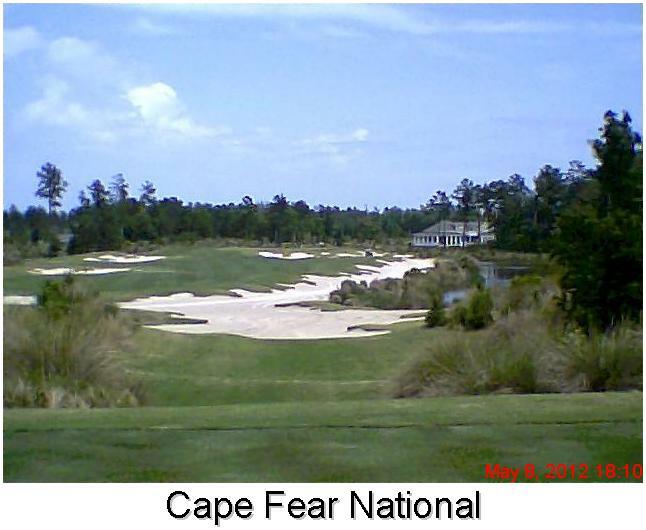 The walk-in greens fees at Cape Fear Natural range from $80 to $100. That's on the high side, so I went looking for stay-and-play packages to being the course into the realm of "Affordabili-TEES.'' Using the two websites listed above, it took only a few minutes to find packages at the Comfort Inn Magnolia Greens priced at $418 for two days and $577 for three days. These packages include rounds at Cape Fear Natural and nearby Magnolia Greens Golf Course, a 27-hole complex with walk-in greens fees of $44 and $30 after 3 p.m. The packages include lodging, golf, complimentary breakfast, check-in gifts and 20 percent discounts on evening meals at nearby restuarants. Crunch those numbers, and the cost for playing at Cape Fear National is substantially reduced from the walk-in fee.